Continuing on with our series about anticipating DOMOTEX 2010 and the opportunities for flooring, here is a report on Russia that Catherine Meyer from the U.S. Commercial Service shares with us courtesy of her colleague Valeria Khalina. As Catherine explains, Russia is an interesting market because many DIY stores are opening there (10 in the 1st half of 2009 and another 214 are in planning) as well as in Poland (24 in 1st half of 2009 and 11 in planning). Furthermore, German and French DIY companies are expanding into Eastern Europe. According to statistics, many DIYs are being planned for Romania. Unfortunately, this report is only in German, but if you have an interest, let us know and Catherine can bring some information to Domotex. If you are interesting in DIYs, be sure to contact Jim Gould know so you can take part in the German DIY tour he is organizing for North American VIP Delegates. The market for building products was actively developing until the fall of 2008, growing at an average of 20-25% per year, when the global financial crisis arrived in the Russian market. One of the industries that was heavily impacted by the crisis was the construction industry. The market for building products is very dependent on the overall construction activity in the country. Therefore, when there was a drop in the rate of construction, the demand for building products and materials dropped as well, causing the building products market to stagnate. Experts predict the market for building products to resume its growth in 2011. In this industry segment before the financial crisis, experts were forecasting steady growth. The most popular product in this segment is linoleum. It accounted for 61.4% of the market in 2008. The total market volume in 2008 was 272. 8 million square meters out which 128.6 million square meters was produced locally and 161.5 square meters was imported. The local Russian market is heavily dominated by a German company called Tarkett, which has a production facility in Samara. They manufacture 80% of all linoleum sold in Russia. In 2009, it is expected that the market volume will considerably decrease given the continuing financial situation. The other popular product that is used for floors is ceramic tiles (22.5% of the market). The total market volume in 2008 was 102 million square meters out which 73.8 square meters was produced locally and 34.6 square meters was imported. There are about 25 main local manufacturers of ceramic tiles in Russia. Experts also predict the decrease in market volume in this segment in 2009. During recent years, laminate has become popular among Russian consumers (11.2% of the market). This segment was one of the most promising as its growth rate during the past several years was 40-50% per year. At the moment, imports of this product are higher than exports; however, experts predict that in a couple of years the market share of local manufacturers will reach 65% because of foreign manufacturers such as Kronospan and Swiss Krono Group. Both companies have production facilities in Russia. Parquet is also becoming more popular in Russia (2% of the market). The total market volume in 2008 was 7.3 million square meters out of which 6.5 square meters was produced locally and 2.0 square meters was imported. Experts predict a small increase in 2009 market volume. Even though parquet boards are cheaper than piece parquet, its market share is only 30%. Before 2004, the main suppliers of parquet boards were foreign companies (65%). Over time, Russian manufacturers have become more aggressive and today they account for about 60% of the parquet board market. In the piece parquet segment, the Russian manufactures are dominating; however, imports are growing. In 2000, imported products took 5% of the market and in 2007 – 20%. This is related to the fact that floors made out of exotic woods are very popular among Russian consumers. Other products (3% of the total market) such as synthetic carpet, carpet (from such natural fibers as wool), cork floors, etc. are also growing their presence in the Russian market, but at the moment are not as popular among consumers. Best prospects include parquet (especially from exotic woods), laminates and other flooring products that are not actively present in the Russian market. U.S. companies need to create an aggressive marketing campaign and introduce those products to the Russian consumer. • Language: most communication is done in Russian. 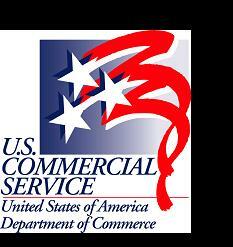 The U.S. Commercial Service, Moscow, Russia, via email at: Valeria.Khalina@mail.doc.gov. Thank you, Catherine, for this report!